With a Doctorate in Planetary Science from Imperial College, unsurprisingly Chris is highly qualified to deliver talks on most space related subjects. Chris is an outstanding public speaker and he is in constant demand at many international venues, for example he often gives talks at The Cheltenham Science Festival where his lecture on the 400,000 engineers who made the dream of Apollo a reality, enthralled audiences. 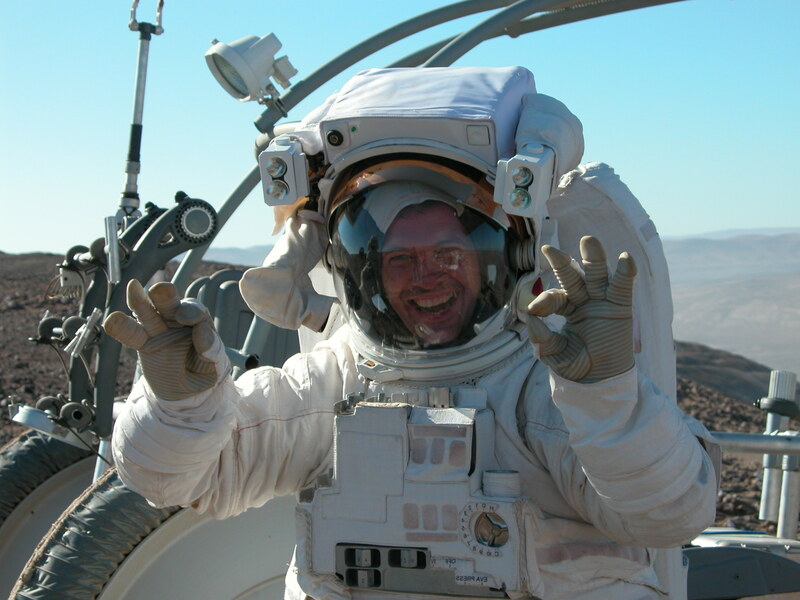 Chris has produced and directed numerous TV programmes and films about Apollo, which he has a tremendous passion for, he co-produced and directed on the multi-award winning film ‘In the Shadow of the Moon’. Chris has also written the fabulous book ‘Apollo 11 an Owners Workshop Manual’, published by Haynes. During his career he has flown at twice the speed of sound on Concorde, floated weightless for 30 minutes on board both Russian and European Space Agency parabolic flights and has ridden on two of NASA’s astrobiology missions; chasing the Leonid meteor showers around the world for BBC News.